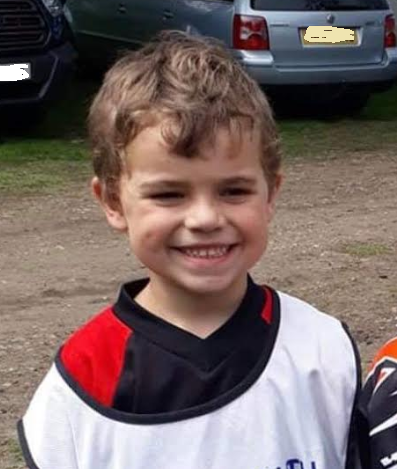 THE family of Curtis Myles, the five-year-old boy who sadly died following a collision in Knaphill on 26 March, have described him as a “gorgeous, fun-loving boy” in a tribute which they have released this week. “Curtis was a gorgeous fun-loving boy who always had such a happy smile on his face. He loved to be outside whether it was in the garden, on his trampoline, riding our horses, or on his bike or scooter. He was clever at school and had so many friends. “Curtis learnt to come off his stabilizers on his bike at an early age, when he was just two and a half. 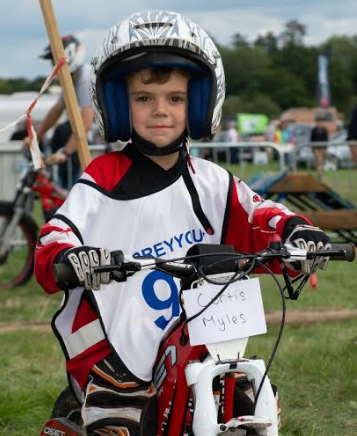 By the age of four, he had joined a Surrey youth motorcycle trails club, had his own motorbike and started competing and winning trophies. He clearly had a natural talent and balance for trial motorcycling, and he enjoyed riding his bike to school every day. “Curtis was such a happy soul – he would light up everybody’s lives and get them laughing.